Zara Zhang is an investment analyst with GGV Capital and a blogger about China, tech, and food. On August 16, Xiaomi celebrated the seventh anniversary of the release of its first phone, and the eighth anniversary of MIUI’s launch. As an early investor in Xiaomi in spring 2010 and a former board member of the company, I attended Xiaomi’s IPO in Hong Kong on July 9. I felt nostalgic and grateful, and marveled at how much Xiaomi — which seemed like a crazy idea to many back in January 2010 — has achieved over the past eight years. Why is Xiaomi an “Internet company”? Isn’t it just a manufacturer of cheap smartphones with really low margin? At first glance Xiaomi may seem like a hardware company, which traditionally has lower gross margins. But if you look at the company as a whole and how it engages with users, it’s much more – it’s an Internet company. It is true that around 70% of Xiaomi’s revenue comes from smartphones, 20% comes from connected devices and lifestyle products, and 10% comes from Internet services in 2017. Yet, you can actually think of smartphones as Xiaomi’s customer acquisition tool for its Internet services. Once users get a taste of Xiaomi through its smartphones, they fall in love with the brand’s superb design, ease of usage, quality, and amazing price-to-performance ratio, and are more likely to buy a Xiaomi smart TV next, then Xiaomi’s smart home appliances, and finally use Xiaomi’s apps. Over time, Xiaomi’s Internet service revenue will grow more rapidly than most people think. Another under-appreciated pillar of Xiaomi’s growth is its “ecosystem strategy.” Xiaomi strategically invests in many startups as well as the many Internet services providers they work with, both in China and outside of China. Companies in the Xiaomi ecosystem include SmartMi (air purifiers), Zimi (power banks), Huami (Mi bands), Chun Mi (rice cookers), and 80-plus more. Thanks to these prolific investments, you can find a wide variety of products in any Xiaomi store, from scooters to ukeleles (see below). As a result, every time consumers visit a Xiaomi store, they can find something new, and the frequency of store visits is a lot higher than typical smartphone brands, even Apple. Xiaomi’s users are often loyal to the brand because there are so many great Xiaomi ecosystem products consumers can buy. Over 1.4 million users already own more than five connected Xiaomi products (excluding smartphones and laptops). The rising middle class in China and other emerging markets trust, embrace, and identify with the Xiaomi brand – similar to how Muji and Uniqlo from Japan are loved by consumers worldwide. Overtime, as more users become “Mi fans”, Xiaomi’s Internet service revenue will grow, but there is a lagging effect, which many public investors don’t fully appreciate yet. In addition, Xiaomi also invests in Internet service providers. It then preloads their content into its own apps, or preloads their apps into its own phones and smart TVs. For example, within the Mi Video app, you can access content from top Chinese video platforms like iQiyi and Youku Tudou, because Xiaomi was an investor in these companies. Xiaomi shares advertising and subscription revenue with these platforms, allowing it to rapidly grow its revenue from Internet services, which have extremely high margins. What key factors made you want to invest in Xiaomi? In your opinion, what was the biggest risk about this investment? I have known CEO and founder LEI Jun for almost 10 years. We first met when he became an angel investor in early 2008. When Lei Jun first told me about his idea for Xiaomi in January 2010 in Beijing, I listened to his pitch (there wasn’t even a PowerPoint) and it took about 90 minutes before I decided to invest. He used five arguments to convince me. In the next 10 years, smartphones will replace laptops as the dominant way people interact with technology. He believed that listening to consumers’ feedback and iterating on products rapidly based on that feedback are essential for success, especially for building customer loyalty. This is a different approach from the one that Apple, HTC, Samsung, Motorola, Nokia, etc. had at that time. He wanted to build a phone that is Android-based but with a localized wraparound “MIUI” so that users will feel it’s an OS that listens to them and can grow with them. Internet companies have high margins and therefore are less likely to fully commit to a low margin business like hardware. Think Google and Amazon. Build a world-class team that has a combination of overseas returnees and locals. Internet services such as online gaming (via Kingsoft, where he was the CEO). No one else had all these skills under one roof. This is why I thought Xiaomi might have the chance to do something very special. However, for anyone who passed on Xiaomi early, it was very a reasonable and logical decision. In the history of mobile phone companies around the world, no startup had ever been successful. Some even predicted that for Xiaomi to succeed, Motorola, Ericsson, and Nokia would all have to fail. In 2010, that seemed a crazy idea. But the rest is history. 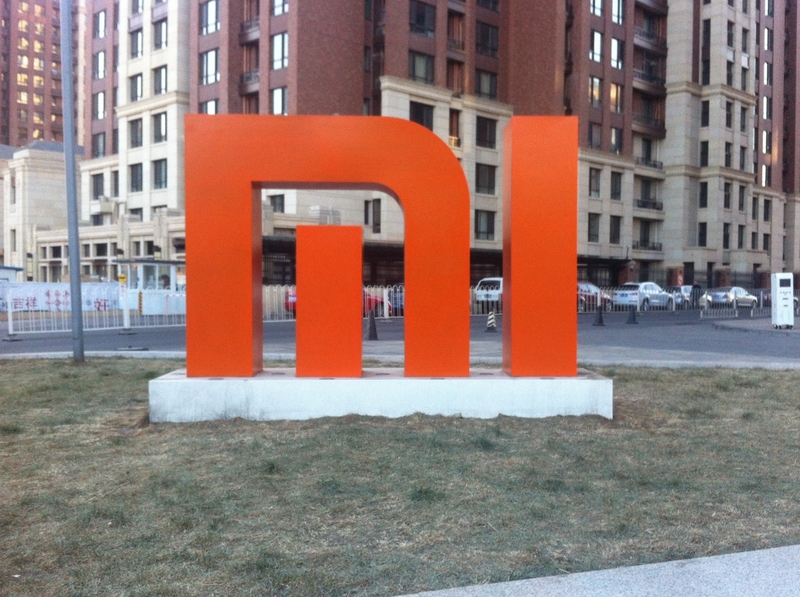 What do you think of Xiaomi’s international expansion strategy? Xiaomi did a great job in recruiting Hugo Barra, who was formerly an executive at Google Android, to join them as Head of International in 2013. Hugo’s experience lent credibility to Xiaomi, as he became the international face of the company for the next three to four years. He also recruited several young executives and country managers, mostly in their late 20s or early 30s back then, many of whom were first-generation Chinese Americans or Western educated immigrants. These executives have helped Xiaomi become a global company, and they all have a bright future ahead of them with more responsibilities to come. It’s really important to hire the right head of international and country managers to make it work. Conversely, when US companies go to China, it’s harder to hire young millennials to spearhead the China business because the Chinese Internet space is a lot more difficult to navigate. But as there are more and more Gen Z and millennial consumers in China, American and international companies can take more chances, recruit young entrepreneurs to join them, and form an advisory board of industry veterans and investors around their China initiative. How can Xiaomi expand into the US, given Huawei and ZTE’s troubled relationship with the US government and the recent trade tensions between the US and China? In my opinion, the US market is not an immediate priority for Xiaomi today. Emerging markets, which include India, Southeast Asia, Eastern and Southern Europe, and Latin America, represent much bigger and immediate opportunities. Xiaomi is already in 74 countries today. In the first quarter of 2018, over 36% of Xiaomi’s revenue came from markets outside of China. According to IDC, in Q4 2017, Xiaomi was among the top five smartphone brands in terms of unit shipments in 15 countries, including India (No. 1), Indonesia (No. 2), Russia, Poland, Greece, and Israel. Xiaomi also has plans to double down on markets in Latin America such as Mexico. Why is this significant? Allow me to share a historical lesson. When Yahoo! Invested in Alibaba (another GGV portfolio company) in 2005, the world had 1 billion Internet users. Now, the world has 3.5 billion Internet users. Over the last 13 years, Alibaba’s valuation increased 100 times from $5 billion to $500 billion. The fact that China was the fastest growing market for Internet users during this period, coupled with Alibaba’s amazing ability to execute, turned the company into a growth miracle. In the next 12-13 years, the world will most likely grow to 5 billion Internet users. The world’s next 1 billion Internet users that will come online in the next decade – via affordable but high-quality smartphones – are outside of the US. They are in the 74 countries that Xiaomi is already in today. Going forward, Xiaomi is very well-positioned to take advantage of the next phase of growth through selling hardware, software, and bundled Internet services, as well as by investing in partner companies in those countries. What do you think of Xiaomi’s IPO price? I think Xiaomi is undervalued at HK$17 per share. Xiaomi’s was the world’s largest tech IPO since Alibaba’s in 2014 and it has a relatively complicated business model, so it might take time for public investors to understand and appreciate. I believe Xiaomi will deliver performance that beats expectations going forward. If you look at the IPO price of HK$17 a share, Xiaomi was valued using a revenue multiple of 10x for its Internet services (a discount to Alibaba and Tencent), and 2x for its hardware-related revenue (an average multiple for one of China’s favorite brands), based on the 2017 numbers. So there is still a lot of potential for upside both in terms of operational growth and multiple expansions. I remember when Facebook went public in 2012, its share was priced at $38 and its first day of trading ended at $38.23. Obviously, six years later, Facebook is now worth about five times its valuation at IPO. Similarly, there’s a lot of room for Xiaomi to grow. I’d like to give a shoutout to other major early investors in Xiaomi, including Richard Liu of Morningside Venture Capital, Tuck Koh of ShunWei Capital, and Yuri Milner, Shou Zi Chew (now Xiaomi’s CFO) of DST Global. Their continued support has been instrumental to Xiaomi’s success. 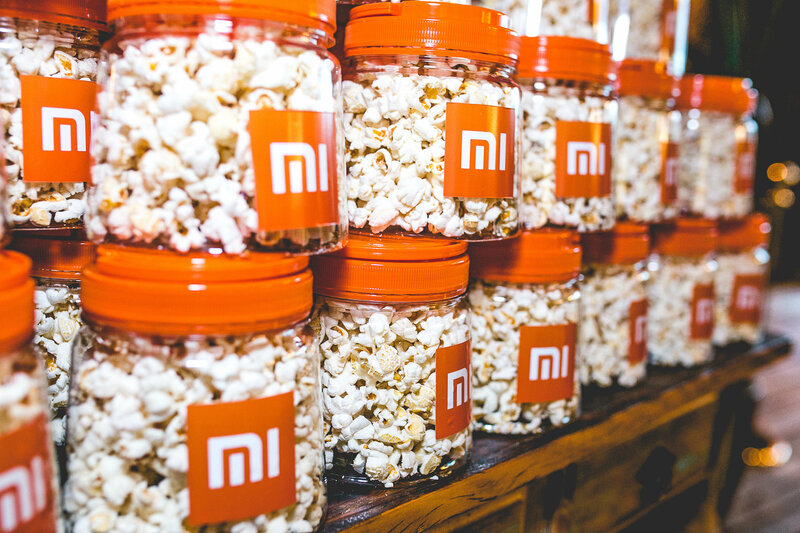 For more on our take on Xiaomi, listen to the latest episode of the 996 Podcast where we discussed Xiaomi’s IPO and an earlier episode of the podcast where we interviewed Xiaomi’s cofounder Lin Bin. You can find the show on Apple Podcasts, Overcast, Spotify, or SoundCloud. Just search “996” wherever else you listen to podcasts. You can also watch Hans discussing Xiaomi on CNBC and Bloomberg, or read his previous TechCrunch article “Xiaomi on Its 5th Birthday. They also run a biweekly email newsletter on tech trends in China. Subscribe at 996.ggvc.com.